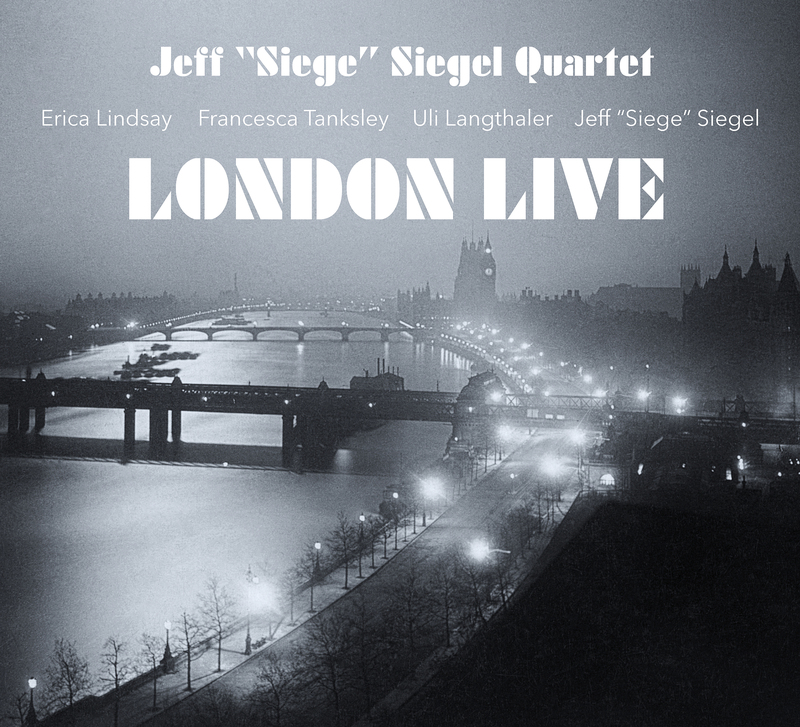 Drummer and composer Jeff “Siege” Siegel is proud to announce the September 6 release of London Live, the second album from his esteemed quartet on Artists Recording Collective (ARC). Featuring Erica Lindsay on tenor saxophone, Francesca Tanksley on piano and the new and exciting addition of Vienna-native Uli Langthaler on bass, The Jeff “Siege” Siegel Quartet recorded London Live – their live recording debut – at Pizza Express Jazz Club, London on the closing night of their fourth European tour as a group in 2010. This eight track opus, which includes six originals – three by Siegel, two by Lindsay and one by Tanksley – alongside Coltrane’s “Peace on Earth” and the African American spiritual “I Want Jesus to Walk With Me”, is penned by the stalwart drummer as a “hard hitting 60’s set”. Drummer/Composer Jeff “Siege” Siegel is a veteran of the New York Jazz scene and has worked with a virtual “who’s who” of artists. He came onto the New York scene in 1980-83 as a member of the quartet of the legendary multi-instrumentalist Arthur Rhames. After six years with the group Second Sight, which featured trumpeter Dave Douglas, Siegel became a member of the Sir Roland Hanna Trio from 1994-’99. From the years 1990 – present he has co-led several touring ensembles as well as The Jeff “Siege” Siegel Quartet. Simultaneously, from 2001 – 2015 Siegel was also a member of the Lee Shaw Trio with whom he also produced several cds and a dvd. Besides leading his own quartet/quintet/sextet, Jeff is a member of the Levin Brothers band and tours and records with them regularly.